Janpath Market is located in Cannaught Place, opposite to Pallika Bazar. It is a 1.5 Km stretch of area which offers variety of goods and is one of the major tourist attractions. From ethnic to western, dresses to kurtis, shoes to handbags, home décor to delicious delicacies, all are available at one place. 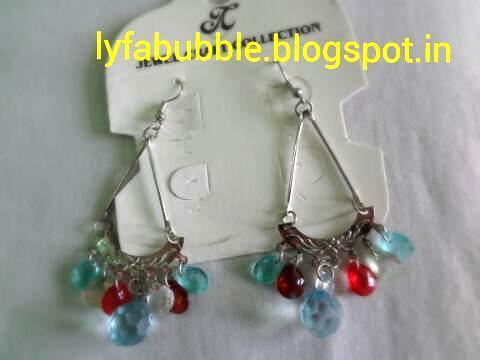 You can easily obtain vintage jewelry as well. 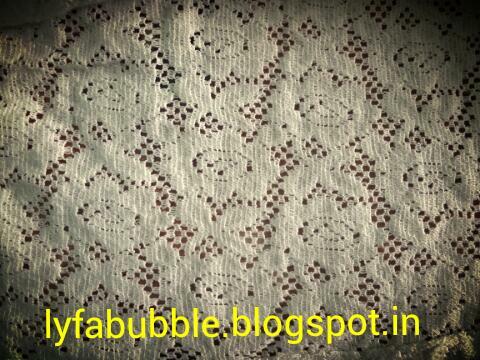 Handloom kurtis and shawls are also an exquisite here. Through Violet line you can get off at Janpath Metro Station (opened in 2004). From Blue Line, you can hop off at Rajeev Chowk Metro station. Janpath is a flea market where you can get tops and other clothing pieces for Rs 100 to Rs 500. If Sarojini Nagar is quite far from your place, then you can go to Janpath which is like a mini version of Sarojini Nagar market. One difference between the two markets is that in Janpath the clothes displayed are washed and ironed, unlike in Sarojini. Nowadays, sellers in these flea markets have started quoting Rs 500 to Rs 800 for their clothes. You have to bargain as per what you think is adequate for the item you have your eyes on. You can easily get high on style clothes but at quite a budget friendly rate. As the market begins, there are 2 to 3 jewelry (imitated) shops. 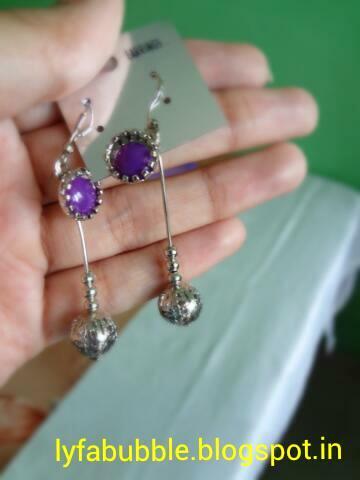 I went there and they were quoting prices like Rs 275 and no doubt these earrings were pretty but I was put off by the stubborn attitude of the seller, so I just moved out. Without further adieu, let’s get started with what I’ve got. 1.) 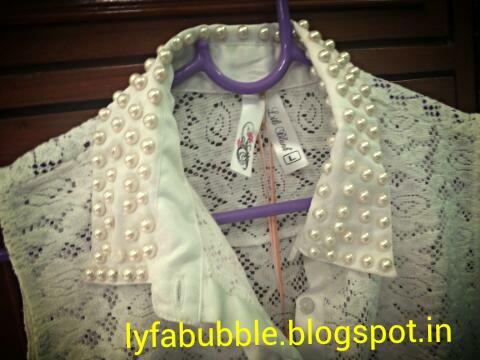 First is this beautiful sleeveless crochet top which has pearl detailing on the collar. The seller, initially quoted Rs 800 for it. I pushed my sister forward for the bargaining game. She lowered it to Rs 300 and immediately we laid our hands on it. It was available in four colors. 2.) 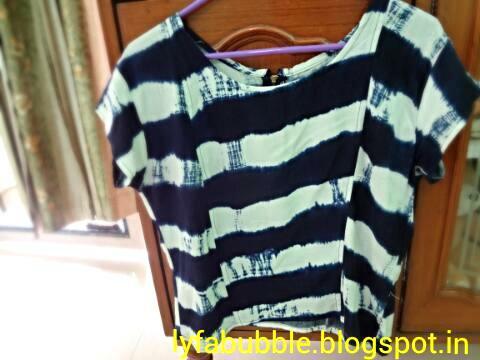 Then after searching several shops, I found this quarter sleeve cotton top which has black and grey detailing on it. 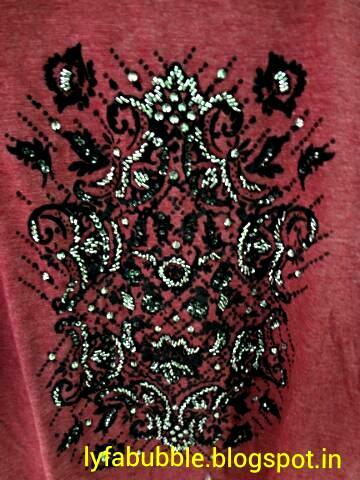 This one was available in two colors- blackish grey and weird brown. Price offered Rs 200. The seller was quite decent to not inflate the rate, so we felt no need for bargaining. 3.) This top was selected as per my sister’s preference. Out of tiredness, we didn’t bother to wear it over our tops to see if it fits. It is tie dye crop top which has small golden zip on the back. It is soft and has a U-neck. 4.) Last clothing item is this florescent magenta tank top which has imitated pocket on the side. It has different materials in front and back section. Back side has a stretchy soft material which makes it free size. 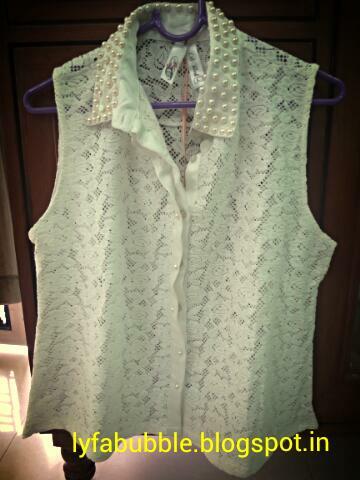 This top and the one shown earlier were picked up from same shop and together they were bargained down at Rs 400. If you enter Janpath from the front security barricading (opposite to TBZ Jeweler), on the left hand side is a shop which sells imitated jewelry for Rs30 to Rs 100. Most of his neck pieces and earrings are always priced at Rs 30. In fact, I discovered that some earrings had the tag of Forever 21. The only problem is, you need to scrutinize your eyes to see if the accessory you intend to buy isn’t rusted. Daily wear but good quality rings were available for Rs 50. 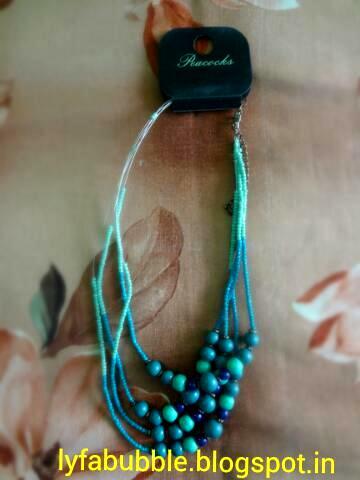 I bought these three pieces of jewelry, each piece for Rs30. BUDGET- We carried a total of Rs 1,000 ($15.63 as per today’s dollar rate) with us. Clothing items summed up to- Rs 900. Accessories summed up to- Rs 90. State which top/item you liked the most. Also, if you like hauls and want to see more of them, then comment down below in the comments box.